The autumn has arrived in Sweden, bringing with it cold wind and rain. 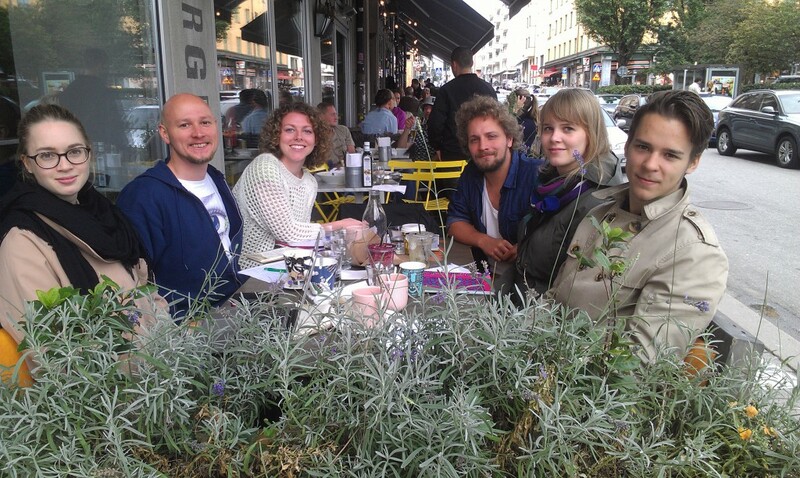 But it’s all about new sunshine in Wake-Up Call’s team in Stockholm. Last weekend we met six of our wonderful new trainees: Andréa Henriksson, Lovisa Lundgren, Elissa Berrill, Jennifer Unelius, Tova Melin och Anu Paajanen. Together with the “veteran” staff member in Stockholm, Lorentz Tovatt, the outgoing director Adam Olsson and the executive director Oleg Izyumenko they planned new activities and projects for the autumn term. You will hear more about our plans soon, but we can assure you that we have quite a few interesting things in the pipeline. And, despite Adam leaving to the UK to pursue a master’s degree in environmental policy-making at the London School of Economics, the team in Stockholm keeps going strong, with a new managing director, Elissa, and her crew, 80% of whom are new to the company. It means that in the next few week the emphasis will be on introducing our new team members to Wake-Up Call’s philosophy, methodology and mission, as well as training them in workshop facilitation, presentation techniques, Public Narrative and doing a lot of networking with like-minded youths in Stockholm region and the rest of Sweden.